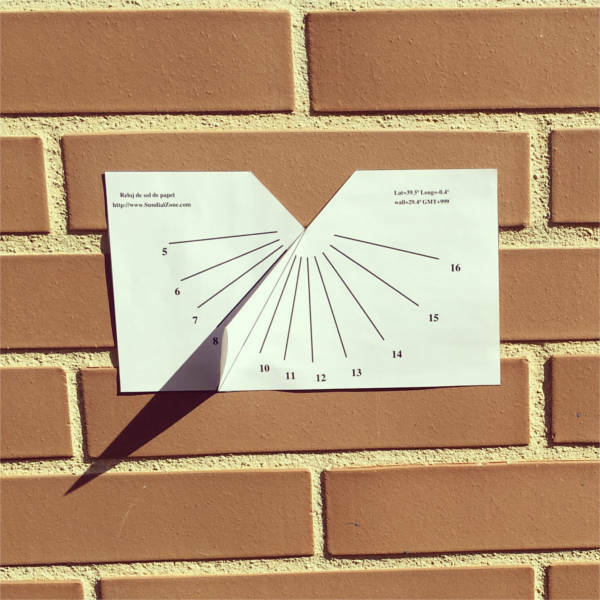 This page is about Sundials. Sundials are instruments that tell you the time with the shadow of the sun. 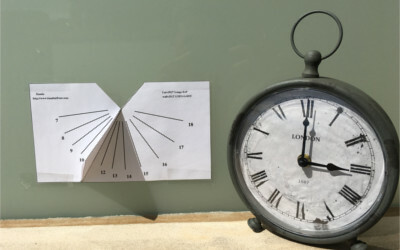 To design a sundial you need to know exactly where you are going to put it, i.e. 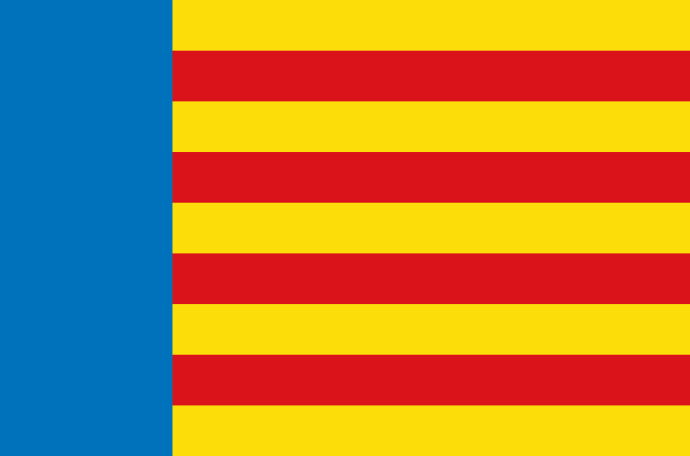 you need to know the longitude, the latitude and the orientation of the wall with respect to North. I have designed this page and integrated Google Maps. 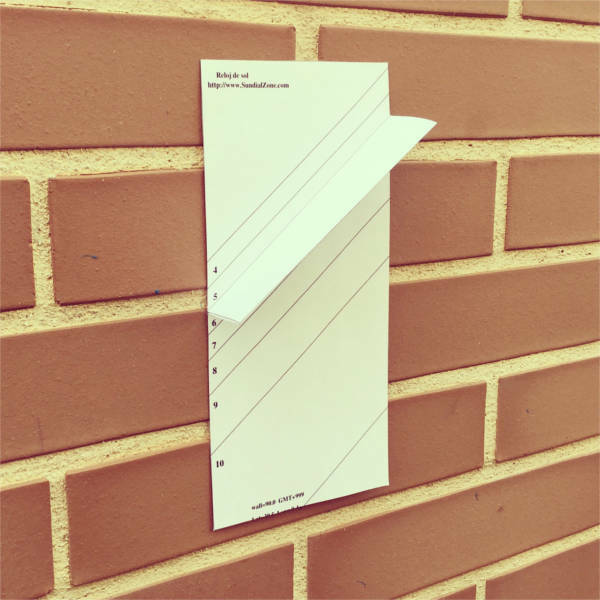 It helps you to easily find all the parameters needed and finally produces a printable page with a cut-out paper sundial, that can be cut and folded to give you a vertical sundial. 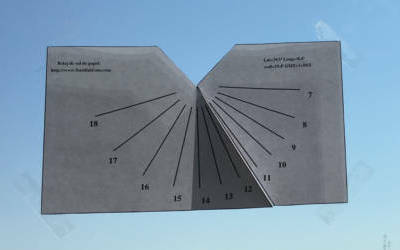 This page allows you to make your own Cut Out Paper Vertical Sundial customized to your place on earth and the declination of the wall you are going to put it on. Your sundial can be configured to show civil time or civil daylight-saving time, so that it gives you your country's official time as you can see it on TV or your watch. Furthermore it can be configured to show the natural "true local time" as you can see it on ancient sundials. 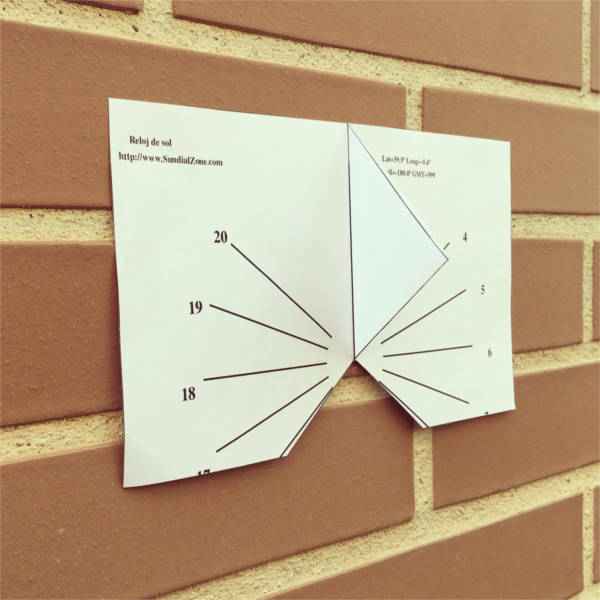 Moreover, you have the possibility to put your vertical Sundial on a window and read the hour from inside the room. In this case the numbers are printed to be read from inside.